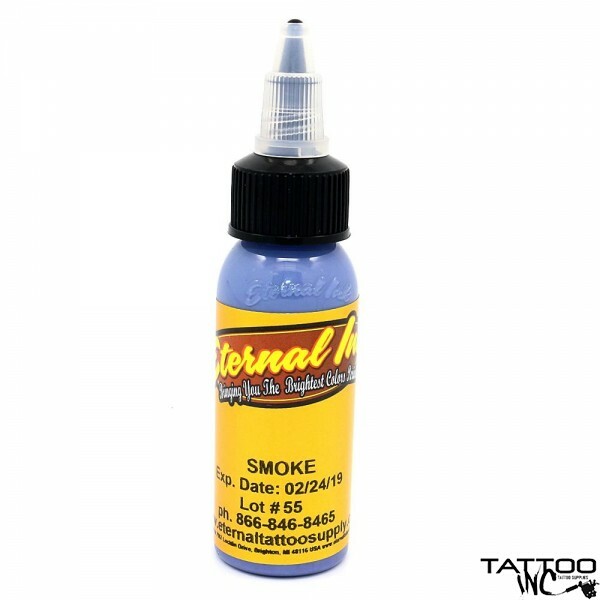 Eternal tattoo ink is a pre-dispersed ink manufactured in the USA. It is a non-toxic, glycerol free, water-based, vegan tattoo ink. You will find all the colors you could possibly imagine in the Eternal Ink Collection. This listing is for a 1oz of Smoke.